Starbucks is ending the year with a bang! 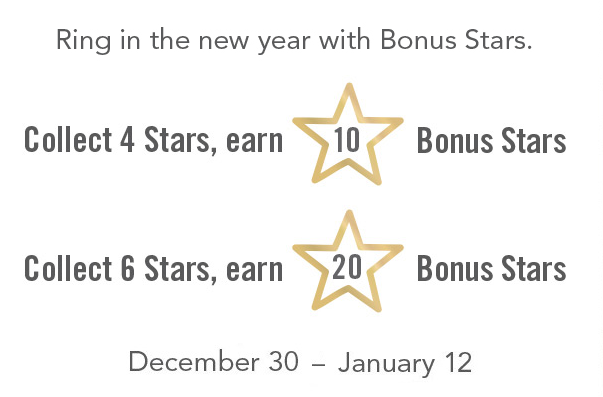 The latest promotion offers mega Bonus Stars and is really quite achievable! The promotion runs from December 30 through January 12 and is quite straightforward. Spend and earn four Bonus Stars and receive an additional 10 Stars – collect 6 Bonus Stars and receive an additional 20! I don’t know about you, but I’m headed out today to earn those first four! Be sure that you opt in to the promotion either via your email or logging on to starbucks.com. Some people have reported that even though they did not receive the actual email, they were able to see a banner for the promotion once they logged in to their account (thanks to Deborah for the reminder!). Check your email for the registration link. Again hopefully this will be available to everyone who is registered and/or uses the Starbucks App. 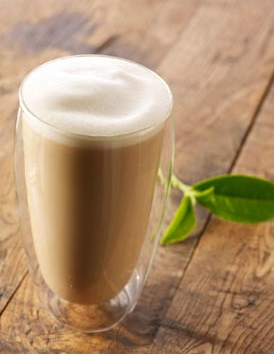 The app also works for purchases at Teavana Stores and you can earn Teavana Rewards. If you haven’t downloaded it yet, the app is available for the iPhone (in iTunes) and for Android (at Google Play). I gave my mail carrier her first Starbucks card for Christmas and hopefully she will be taking my advice to register her card to take advantage of these kinds of offers. In addition to the New Years Bonus Stars Promotion, Starbucks is also having an online sale with an extra 10% off prices that are already up to 50% off. You will need to use the code MSREXTRA when checking out and must use your registered card. The link for the online sale is here —–> Online Sale. Note: Starbucks has been having some issues with their website lately so if you are unable to access the site from your desktop, try using the mobile site on your Smartphone – it appears to be working correctly. Happy New Year… and Happy Collecting! 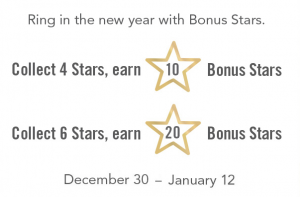 14 Comments on "Starbucks New Year Star Dash – Up to 20 Bonus Stars"
and January 13, and you’ll earn 10, 12 or 15 Bonus Stars. I would love to get 20 bonus stars with a measly 6 over 2 weeks. To reach the maximum bonus, you’ll need to get started tomorrow. OK, now that I think about it, I did have one “cake” promo over the holidays. Around Thanksgiving I was given 4 bonus stars on breakfast sandwiches over several days. It just gets a bit disheartening, when they want you to come in 15 days straight to get 15 stars and someone else is offered 20 for 6 stars over the course of the same days. I really think that the more you participate, the better your offers get. I know that sometimes when I skip a promotion, my next offer is not ‘quite as good’. 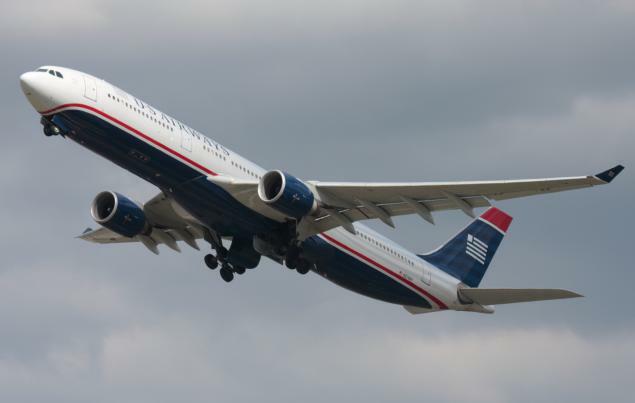 So, they actually want you to visit a certain number of days and not visits? If I were you, and feeling slightly disgruntled, I think I would sit down and write a nice complaint letter to the Corporate office, explain your position, and see what they have to say. I guess we should be glad that you are getting offers and they don’t! I wonder if they have opted in to ‘Offers from Starbucks’ on their Starbucks account? Worth checking to see if they are allowing promotional offers! I also got that email for 4 stars, 10 bonus, 6 stars, 20 bonus. 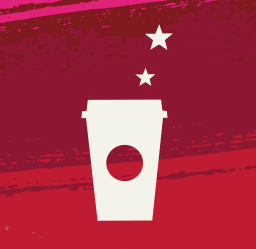 I stopped by Starbucks today and picked up 2 for 1 Christmas Via and earned 3 stars. When I got home I realized I was supposed to opt in to the promotion. No biggie, I am sure I will earn 6 stars between now and January 12. Everyone be sure to opt in when you receive the email, I did not pay attention to that. Good advice!!! I’ll go back and add it! Just checked my Starbucks rewards account and they have a tracking now that shows I already have 3 of the 6 needed stars even though I got the stars prior to opting in. Maybe because I opted in before stars posted to my account. Oh well, I know I will get more than 3 stars before Jan 12. Make sure you ring up your purchases separately so you will get a star for each purchase.I have just got my husband into the habit of doing that.It is a common thing most people do and the employees will not roll there eyes. Yes – definitely the smart thing to do! Thanks for weighing in with this tip! Yes, separate purchases pays off over time. Back in November, I bought 4 of the holiday demi mugs for gifts and got 4 stars for my purchase rather than just one. Those extra stars can contribute to star promotions. That is also one third of the way to a free reward if you are a gold member. Just received a new offer for 5 bonus stars for buying 2 at home coffee products. Does not say they have to be purchased together. I saw a new Via Caramel Latte in the store just the other day. This bonus offer gives me extra incentive to purchase and try one. I bought all the other Via Lattes over the holidays. Ended up with 103 stars during the month of December. They sure can add up once you start! I received this one too and I believe, as you say, that they do not need to be purchased together. If you buy an item in a grocery store, all they are asking for is the code from the bag so that makes this an easy bonus to fulfill. I don’t think I did quite as well as you in December, however, and only earned about 92 stars. Good enough for me though!